My first attempt at blackwork. I’m really happy, so far! 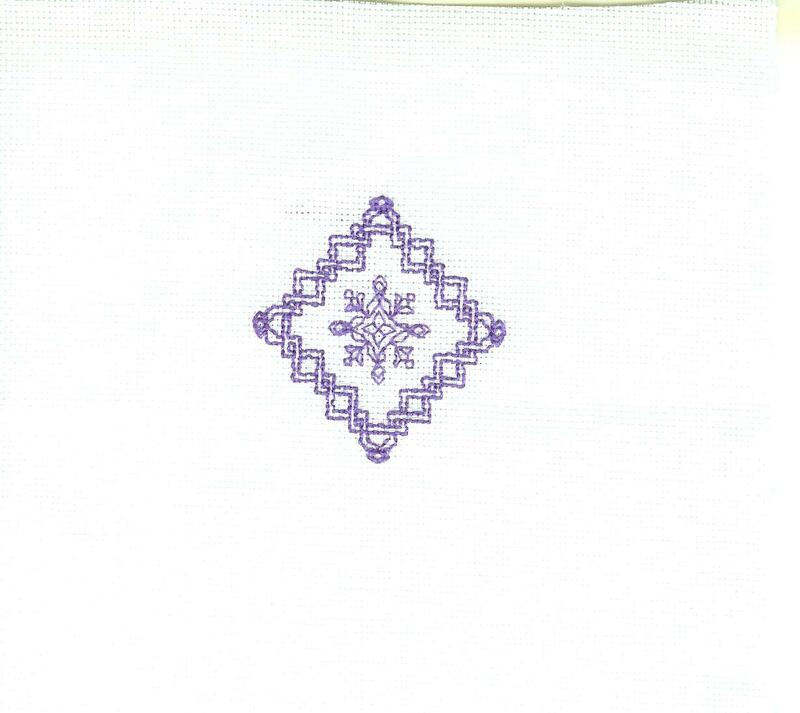 This is the blackwork “hope” ornament pattern for Stitching for a Cure. It seems to stitch up quickly – I did the outer frame in a couple of hours last night and the inner motif in a couple of hours this afternoon. There’s a little more for the inside – stitching and beads. I’m still deciding if I’ll add the charted “HOPE” at the bottom. You will be seeing more blackwork from me! Very pretty! Blackwork can be a lot of fun!